In a half-changed world, women are often forced to choose: Mothering or working? Your children’s wellbeing or your own own? Responsibility or self expression? 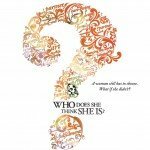 Who Does She Think She Is?, a documentary by Academy Award winning filmmaker Pamela Tanner Boll, features five fierce women who refuse to choose. Through their lives, we explore some of the most problematic intersections of our time: mothering and creativity, partnering and independence, economics and art. Along the way, the film invites us to consider both ancient legacies of women worshipped as cultural muses and more modern times where most people can’t even name a handful of female artists. In the end, the diverse women in the film demonstrate that our creativity and our caregiving are not mutually exclusive, but deeply connected. In fact, their co-existence might just be the key to finishing the job. 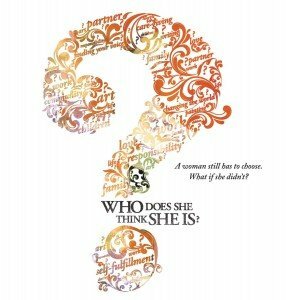 Film Website: Who Does She Think She Is?